The financial goal for most parents is to get their children through high school – and maybe through college – without breaking the bank. Some parents choose to buy teenagers their first car. Others encourage their kids to work to pay for a car. Either way, buying a back-to-school car requires a sizable chunk of income. How Should a First Car Look? One father, a journalist who is shopping for his twin daughters, expressed an interest in a car with advanced dude-repellant technology. Parents of teenage boys are usually concerned with speed and power, or the lack thereof. At the very minimum, parents look for safe, inconspicuous cars that get their kids to class on time. The best back-to-school cars are inexpensive to operate, from long-term ownership costs to fuel economy. Their flexible cargo capacity transports high school students to ball games as easily as it moves furniture between college dorms. First cars are dependable and fun to drive. 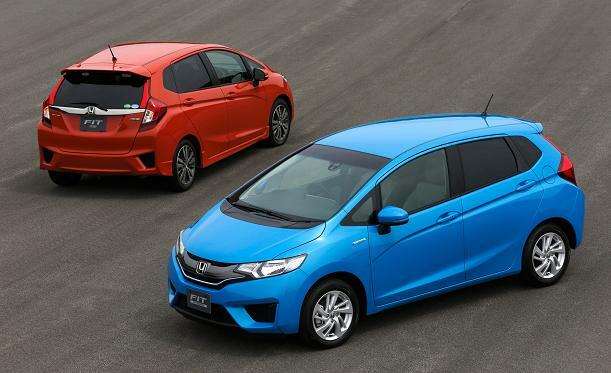 After a year off, the Honda Fit returns as the best back-to-school car for 2014. It sits at the head of the class. Not only is it Honda’s most affordable car, but it’s also sporty and fun to drive. According to Kelley Blue Book, the Honda Fit has the most flexible interior of any subcompact car. The 2015 model is a bit of a reboot with a modern engine and continuously variable transmission (CVT). At 36 miles per gallon (mpg), it gets high marks for fuel economy. The new Fit is also available with a manual transmission. While the little car looks sluggish, its looks are deceiving. The Fit can reach 60 miles per hour (mph) in less than nine seconds, and it has aa winning, rev-happy eagerness for drivers of any age or experience level. The most memorable feature may be its seat-folding schemes, which offer a variety of cargo solutions. The cabin is roomy too, and it makes use of every inch of space. According to the Insurance Institute for Highway Safety (IIHS), the Honda Fit had a bad start during overlap frontal crash testing. However, a reinforced front bumper gives the new model a “Top Safety Pick” rating from IIHS. For other safety metrics, the car gets five-star ratings from the National Highway Traffic Safety Administration (NHTSA) and the European New Car Assessment Programme (NCAP). The Honda Fit has several other safety features besides crashworthiness. Bluetooth capabilities limit driver distractions, and the car’s Lane Watch is a driver assistance bonus. A camera mounted to the right mirror and a multi-view rear camera are must-haves for teen drivers. The 2015 Honda Fit is an excellent first car for high school and college students. As a back-to-school special, it’s reliable, economical, safe and fun. It also has all the refinement that the Honda brand is known for, at a price that won’t break the bank for parents or their teens.